Before we get to today’s challenge, I am really sad to report that June has left us due to personal reasons. I want to thank her for all her hard work and wish her luck in the future. I am hopeful when things are a little more sorted she will be back. In the meantime if anyone is interested in joining our lovely team could you add DT after your name when you enter the challenge below! 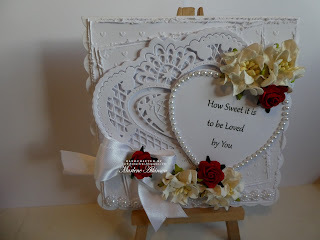 As usual anything you care to enter is fine, a card, scrap layout, mixed media piece, some home decor, as long as it meets the Love & Romance theme. 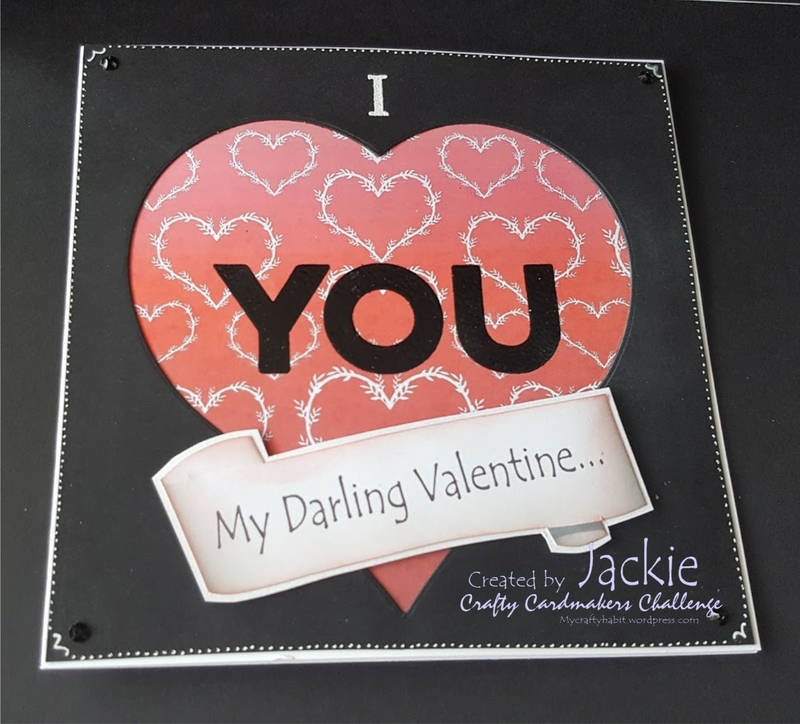 A three-dimensional card with a die cut heart shape, a watercolour wash using glitter pens and some die cut letters and very old paper from my collection to make a traditional Valentine card. 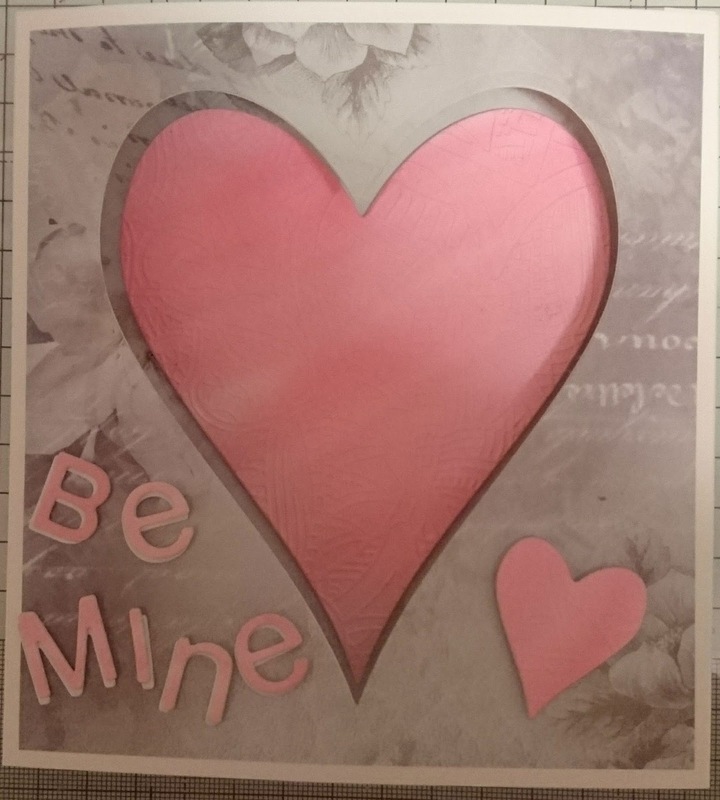 This is the card I made for my husband for Valentines Day. 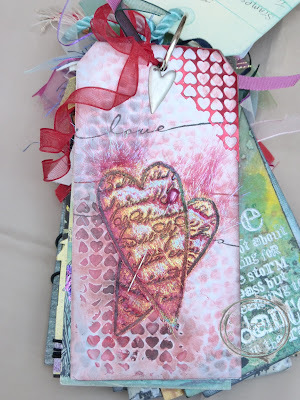 I used one of my gelli plate prints for the background which I stamped with a Italian Love Poem. 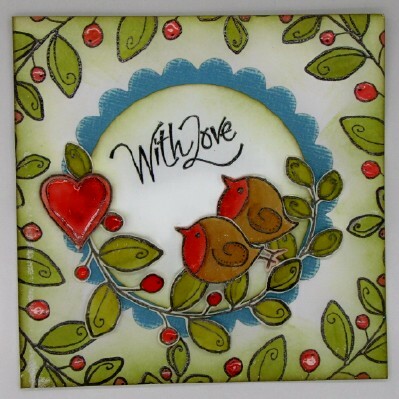 "Loved Tag" is a old rubber stamp from my collection which I coloured with Copics. 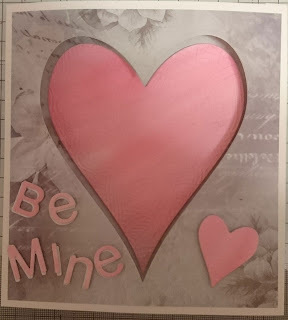 I created the background of my card with texture paste through a stencil and then added the colour with Lindy's Stamp Gang Magicals. The cluster consists of a piece of gauze, some die cuts and a few flowers. I also added a little stamping on the side. 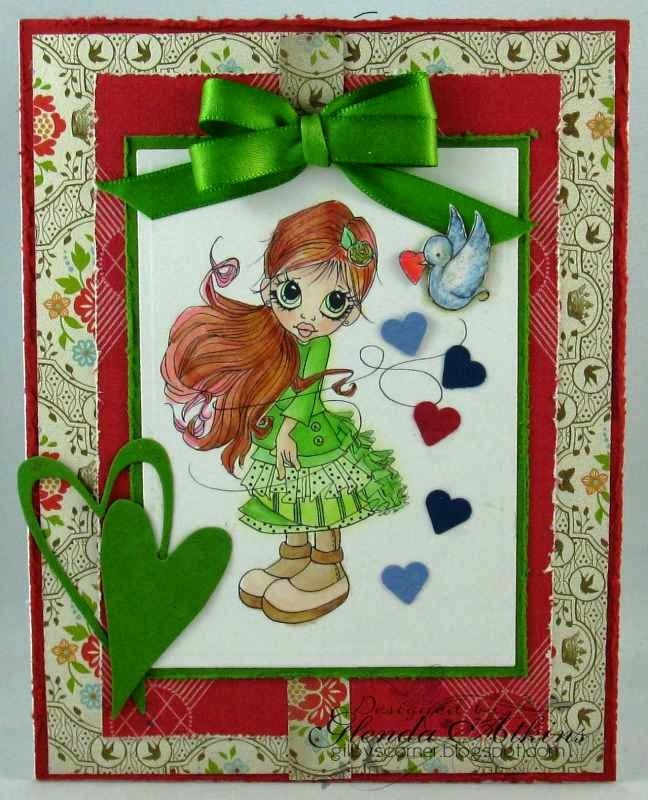 A 'heart'felt card expressing Valentine love with a stamped image, Prismacolor Markers. and lots of die cut and punched hearts! I used the romance set of Popcorn the bear stamps coloured using Promarkers and Tattered Lace mini ruffle dies. 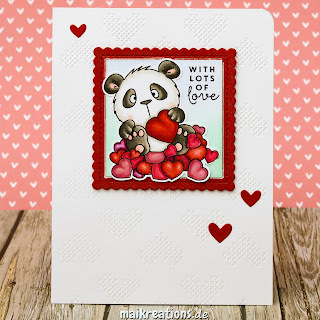 My card was a plain and simple valentine, as it was for a man! I used some backing paper from a cd, a heart die and a stamp for the word I and YOU. The scroll sentiment was made using craft artist. This card was actually made using one of Jane Gills fabulous Christmas stamps from a couple of years ago. I do like a stamp that has multiple uses. SUPER Team makes, such beautiful cards. 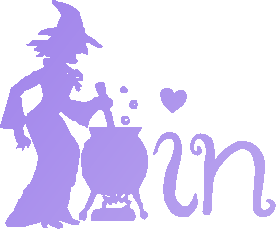 Fabulous creations, I look forward to popping on over to take a closer look at the DT's inspirational makes. Beautiful heartfelt creations by the DT! Thanks for the challenge - it's great to see so many fantastic cards!